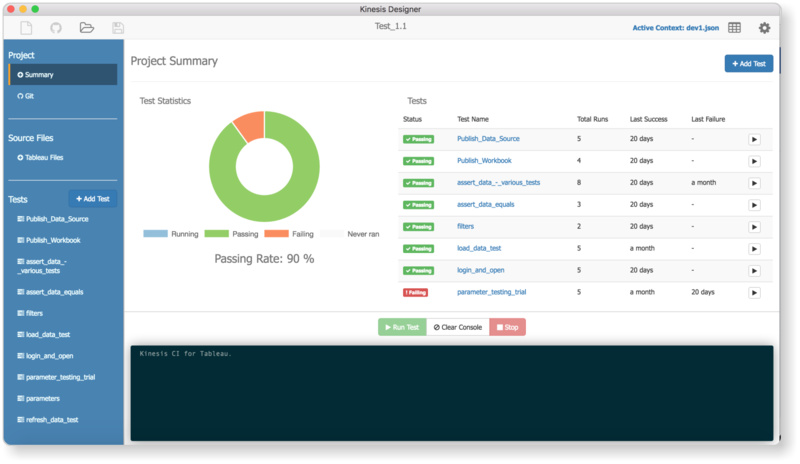 This project is designed to give you an example for setting up your testing projects in Kinesis CI. How to use this demo project? Clone the repository in Kinesis Designer (File -> Clone Git Repository and enter https://github.com/Kinesis-CI/education-and-innovation.git) and open project.json. This project.json file contains key information to identify the individual test projects within this directory. Alternatively, you can use the Kinesis Command Line Interface and open the files in a text editor. If you want to run tests automatically on a Continuous Integration Server, for example on Jenkins, TeamCity or any other similar tool, then you will need to install the Kinesis Command Line Interface to the server where your CI/CD server is running. Command Line Interface allows you to run previously created Kinesis tests and integrate it with the CI tool of your choice.